My dog Smash is funny dog. Sometimes he wants to have lots of petting and attention and other times he is aloof and independent. For the past few nights he has wanted to come in the house for a while and get petted. Then he will go back outside to sleep. It has been very cold, but he still prefers to sleep outside. He does expect me to walk with him to the creek each morning. It does not matter if it is cold or raining or whatever, when I walk out the door, he runs toward the creek. If I don’t follow, he turns around and pouts. Lately, since it has been so cold, I have begin cranking my Jeep first and letting it warm up while we walk to the creek. This confuses Smash. When I go to the Jeep, he gets that sad look and then when I turn around to go to the creek, he hesitates a moment as if questioning whether I am serious or not. For more stories about Smash see his Dog Behavior Blog. On of my passions is Jeep Cherokees. All my family drives XJs. Mine is a 91 four door with over 300,000 miles. 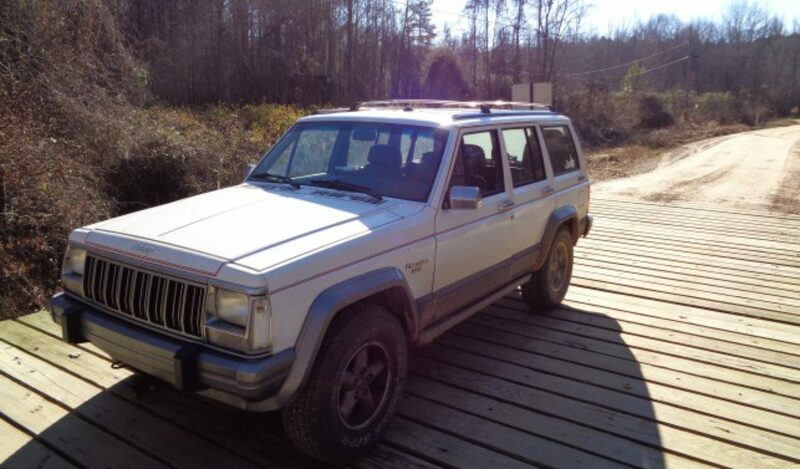 My ex rally racer now turned off road Jeep is an 88 two door with a 4.7L stroker engine. Now with a three inch lift and 33 inch Maxxis Buckshot tires. My older son drives an 88 XJ Wagoneer with a 4.7L Stroker motor. A real surprise at stoplights when this wood grain sided, white wall tired monster walks off and leaves muscle cars! His wife drives a 96 Cherokee Country. My younger son has a 91 like mine except his is green. My Wife drives a 99 Cherokee Classic. Our friend and business partner has a 92 XJ with a 3 inch lift and 31 inch Maxxis Buckshots. I am adding Word Press to my web site today. My plan will be to convert the whole site into Word Press blog posts. This may take a while. I will start by adding new articles directly as Word Press blog posts. I will also start to convert the old stuff as I add the categories. I am adding adsense ads as well.